GB Bulletin, November 30,2010: 150 years ago, villages in the Alps patiently waited out winters, hoping to work as porters during the summer. After a first trip to Shimshal as Simone Moro climbing mate in summer 2008, fellow Italian Hervé Barmasse launched the “Pakistan Winter Sport” project last year. The goal was to attempt some new routes but, most of all, to provide Shimshal locals with future opportunities as local mountain guides — for both men and women alike. In an article submitted to ExplorersWeb, Hervé describes the long, dark winters in Gilgit-Baltistan and the hopes placed on the village’s mountaineering school — six of whose female pupils are currently preparing for a winterly 6000er double-header. “When The North Face decided to finance “Pakistan Winter Sport”, I felt happy and motivated but, at the same time, I felt a great responsibility put upon me; I was the brains behind this winter project which, beyond alpinistic objectives that are very dear to me, also sought to embrace humanistic and social motivations,” Hervé reflected. Accompanied by Dr. Cabana and a small climbing team, Hervé Barmasse reached Shimshal village, in Gilgit-Baltistan region, in full winter season in January this year. “The community is very united and the inhabitants help each other as in a big family. Any problem is a problem for Shimshal and not for one single person. Potatoes, rice, chapatti, dal, peas and beans are preciously rationed to make sure that we aren’t left without supplies before the next replenishment. Once in a while we get to eat goat or yak meat. No chickens are farmed in the winter because they wouldn’t survive the harsh temperatures. Yaks are typical of Shimshal. It is rare to encounter these animals in Pakistan but in the Shimshal valley, along the border with China, thousands of them grace in the wild”. Shimshal Climbing School: a school of hope for women. “Only in the last few years have we caught a glimpse of some concrete changes: women study, go to university and, thanks to the Aga Khan Foundation, primarily in the Baltistan Gilgit region, women can assume defining roles in changing this country. This entry was posted in Business, Columns, Culture, Gilgit-Baltistan, Latest News. GB Bulletin, November 24 2010: Marvi Memon, Member National Assembly Standing Committee of AJK & GB voiced her strong concern (via twitter) as regards the consistent postponement of the meetings of the standing committee on AJK & GB and threatened to raise the issues outside the parliament as the meetings are not been held despite the lapse of an year. She added that the meetings meant to be held on monthly basis will now held after an year or so. Moreover, she declared to issue a white paper on injustices being made by the federal government with the people of AJK and GB. GILGIT: Chief Minister Mehdi Shah while chairing a high level meeting on Tuesday asked the police and other law enforcing agencies to ensure peace during Muharram, officials said. “A comprehensive security plan for Muharram has been discussed in a meeting that was chaired by the chief minister so that maintenance of law and order in Gilgit could be ensured,” said an official of the district administration. The official added that it was also decided that inter-faith events would be arranged for both sects to forge unity. He said that the Jirga committee would also be reactivated as an alternative to ensure peace. “Gilgit has been divided into zones and each zone has been placed under a senior police officer,” another official requesting anonymity said. He said that the plan has been approved by the chief minister in the meeting that was also attended by chief secretary, all the DCs, IGP and other important officials. In addition to the police, squads of Pakistan Rangers and Gilgit Scouts will also be available to assist the government in maintaining order in Gilgit that got tense after a senior PML-N leader was injured by unidentified people on Monday. At least four people have been arrested by law enforcing agencies in connection with the shooting incident that triggered fears of a revival of sectarian violence that has already wrecked the region in the past. Shah asked authorities to continue the search operation until the real culprits are nabbed. “Mosques and Imambargahs have been given top priority in the plan for foolproof security,” officials said, adding that law enforcing forces will be on red alert. Security of the Army Eid Gah will be ensured by the army itself. Sources said that seeking help from volunteers during Muharram is also one of the options the government is considering to ensure a peaceful atmosphere. A senior police official said that the main routes of Gilgit-Baltistan will be supervised as part of the security plan. “Documents of all those entering the Gilgit-Baltistan territory will be thoroughly checked and anybody found suspicious will be investigated,” he said. The main routes being supervised are Karakoram Highway and Gilgit-Chitral road that links district Ghizer with Chitral via Chitral. GB Bulletin: More Chinese aid arrived for the disaster-hit people of Gojal on Saturday, sources said. Chinese officials accompanied the trucks of relief goods and were received by Pakistani officials in Sost, Gilgit-Baltistan (G-B). The Chinese delegation was led by Lie Yong. Secretary Finance, Gul Baig, and Director General G-B Disaster Management Authority, Abdul Qayyum, along with others participated in the ceremony organised by the G-B government in Sost to thank the Chinese government for extending timely and continuous help to the affected people of Pakistan. Officials said that the aid was delivered to Pakistan via the Khunjrab pass from Xinjiang in China and consisted of 74 tons of diesel, 15 tons of petrol and 3,000 tons of household coal. The total aid amounts to over Rs 150 million. While addressing the ceremony at Sost, the Chinese representatives said that China would never leave Pakistan alone in times of grief and would offer more support in the future if the situation required it. “Pak-China friendship is higher than the Himalayas,” said a Chinese official during the ceremony. Secretary Finance, Gul Baig, thanked the Chinese government for its ready support to Pakistan during this difficult time and said that Pakistan would always support China through difficult times. In view of the difficulties being faced by the people of Gojal after the landslide, floods and the beginning of winter, the National Disaster Management Association (NDMA) conducted an assessment of the supplies that would be required by over 25,000 stranded people of Gojal during the winter. They calculated that there would be a severe shortfall of essential food and fuel items in these areas with the coming of winter. However, the assistance from China helped the Pakistani authorities in controlling the situation and providing people with the necessary items. was provided to the calamity hit region. “Where is all this aid that has been sent for us? None of it has been given to us, only the government enjoys these items,” Farukh Khan, a resident of Sost, told The Express Tribune. In a press conference in Gilgit last week, the affected people of Gojal demanded transparency in the distribution of petroleum products and asked the Supreme Appellate Court to intervene and stop the corruption by the civil administration and the government. Many villages are located on geological fault lines, with varying degrees of seismic activity risk. GB Bulletin: After people in Attabad, Nagar, Hussainabad and Khizerabad in Hunza reported underground tremors and sporadic landslides, people living in a village in Ghizer Valley also reported that a mountain near their hamlet was developing visible cracks. 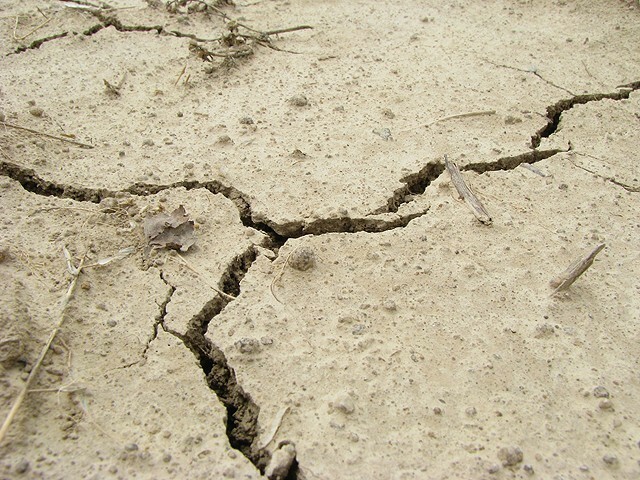 Underground cracks were first reported this year in September in Gilgit-Baltistan. “The mountain of Khushbat near Gupis village has developed visible cracks and living around it has now become very risky,” Wilayat Khan, a man from Gupis told The Express Tribune on Saturday. He said that boulders were seen rolling down the mountain. Khan said that people, who are well aware about the devastation caused early this year by a similar incident which created the Attabad lake, are feeling highly insecure. Khan said that an NGO had recently conducted a survey of his village and had advised people to shift to safer places. “But we don’t know where to go and for how long,” he said, urging the government to take stock of the situation which posed risks to about 500 households. After Attabad, huge fissures started appearing near the village of Nagar where landslides swept away four houses, forcing people to move to other areas. People said heavy cracks could be seen on ground and they feared that the village could crumble away just like the village of Attabad. In September, residents of Hussainabad and Khizerabad of Hunza complained about underground ‘movements’ in nearby mountains which caused periodic landslides, blocking access to the Shinaki area and other villages on the Karakoram Highway. Officials in the region’s Disaster Management Authority said that many villages in this mountainous area were located on geological fault lines, with varying degrees of seismic activity risk. GB Bulletin: MQM is playing a good role in defending the rights of its people in Karachi and given the chance it can do far better job in the betterment of whole nation. This was stated by Supreme leader Balawaristan National Front (BNF) Nawaz Khan Naji while addressing the Prize distribution ceremony of Shaheed Zubair Memorial Football Tournament, held in Karachi. He further said that BNF also wants to proceed on the footings of MQM and organize his party in Karachi as large number of students and professionals from all parts of Gilgit-Baltistan, and Chitral live here. Religion is used as a tool for assembly membership in Gilgit-Baltistan which is against the very teachings of Islam and a matter of shame for those involved in this, said Naji while critising the role of local politicians. He further said that Gilgit-Baltistan people were not politically mature in 1947 because of which they were again enslaved after their independence from Dogra Raj, on the other hand Azad Kashmir people got their flag and state status because of being politically matured. He urged the people of Gilgit-Baltistan and Chitral to rise above the religious prejudices and other petty issues to act as a nation to do away with the injustices meted out to them. GB Bulletin: The drop in temperature, frequent power outages, shortage of fuel and firewood in Gilgit-Baltistan, spoiled Eid festivities of the people this year. The inefficient staff of the power department could not make arrangements to ensure a smooth supply of electricity to the people on this auspicious occasion. The temperatures dropped to minus five degree Celsius (-5.5) in Skardu and two degree in Gilgit. The ‘hide and seek’ of electricity left many families frustrated as they could not even iron their clothes on Eidul Azha on Wednesday. Kashrote partially remained in darkness on the occasion of Eid and hundreds of families suffered a lot as a transformer in the locality was out of order due to a technical fault. “We are unhappy with the power department,” Haseena Gul, a housewife, said on Friday. “Only God can make things better now since the government has not been able to help us,” she said. “My children cannot study and watch television because of frequent power outages,” Saleema Khan, a mother of four, said. “We thought that at least on Eid days we would have uninterrupted electricity but I wasn’t even able to prepare food on oven due to power outage,” she added. The markets and roads in Gilgit were wearing deserted look on Eid days as people had already left for their home towns to observe Eid with their families. ket,” he said, adding that due to severe cold weather many children are suffering from illness. Mohammad Raza, a resident of Skardu who celebrated Eid with his relatives in Gilgit, said that the unavailability of wood has been a constant source of concern for people as the temperature in the region falls. “Dealers supplying wood to Skardu from Gilgit and Chilas have not yet been issued permits by the government,” he said. He urged the government to take notice of this situation immediately and provide some relief to the people.